Can you put these stars in order? Just click the download link, then double click the zip file that downloaded. This will open a file that has all the images as individual files. Click one, select print, and it will print at a full size. My tech son just tested this, and it work great. 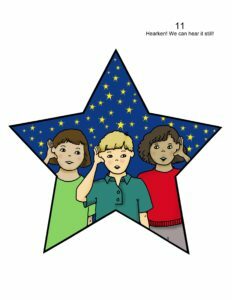 Children have great visual memory. This activity taps into that great ability. 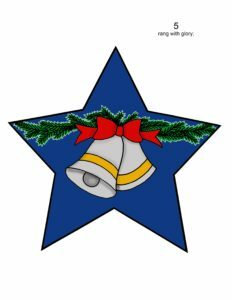 Put these stars around the room. Ask the children, “What do you notice about these pictures? What’s the same? What’s different?” Receive the children’s answers. “What do these pictures have to do with this song?” Sing the song. Receive the children’s answers. 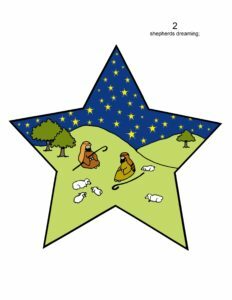 Extension: Ask the children, “If I take away 3 different stars, can you remember what was on them?” Take away the stars and have the children tell you what was on the stars. Sing the song. Take away a few more stars. 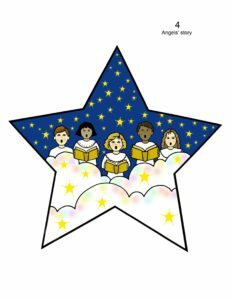 Remember what was on the stars and sing the song again. In order to print these images one to a page, select the image, then right click to download onto your computer. When I saved them and then tried to print, they were very small. Is there some way you can share a pdf or different format? I’d love to use these photos/activity in Primary. I will get my tech guy working on it, but for now I used your email address and sent you the files directly. Also we added the download link in the post at the top and bottom. These pictures are perfect. Thank you for sharing! I was unable to print the individual images on a full sheet of paper… the above image file sizes are too small. These are so cute! When I download these they are too small to enlarge for a clear image. Any chance you could reload them bigger? Hi Rhonda. Josh, Sharla’s tech son here. I would email you exactly what the download link is. What do you see when you click the link? Love the pictures but need them bigger. The link to download is not working. When I right click to save these to my computer, they are not downloading large enough to use. Can you upload bigger files? Right now these are 232 x 300 pixels. These pictures are beautiful! Thank you for allowing us to use them. Could I get the PDF of these as well? Thank you! Thanks for all of your wonderful ideas! Could I also get a copy of the files? I would like the pictures emailed too. Many thanks to you, your tech guy, your darling daughter in the videos, and anyone else who helps you! I appreciate all your great ideas you share with us! I would also love the files as mine are also printing small. Your pictures are perfect! Can you please email me the files directly? I love your ideas so much. Can you please email the files directly to me? Please may I ‘bug’ you for the files too? Thank you!! Sharla, will you please send me the files directly, too? Thank you and Merry Christmas! I haven’t received a copy of the files yet. Can you please resend? I love these pictures and this idea. Can I please get a copy sent to my email? Can I have the files emailed as well? These pictures are perfect!! Thank you for your ideas and hard work! I would love a copy of the files. Thank you! I would love to have you email me the file for these. They are so great! However, when I copy them they are too small so they become blurry when I enlarge them. Thank you so much! I am so glad to see a new post on your site. I join the others in saying thanks for this idea and for all your help. 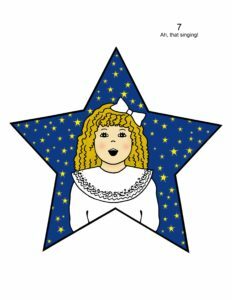 I have done Primary music for several years and have a son with Down Syndrome so I really appreciate the tips you give for teaching in different ways to reach different learning styles and abilities. I am excited about these visuals and would ask that you email them to me as well. Thanks also to the artist Andrea Burgon. Merry Christmas! Thank you! Thank you! I love using your wonderful ideas in Primary. Could I please get the file emailed also? I appreciate all that you do to help us be better music leaders! 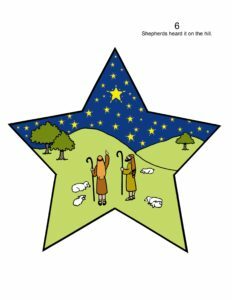 Will you please send me an email with the stars so I can use them on Sunday? Thank you so much! Can I please have this file emailed also? Would so love for you to email me this file!!! You are awesome! Oh my goodness. I just saw this comment. I updated the post, with a link at the top to download the stars. 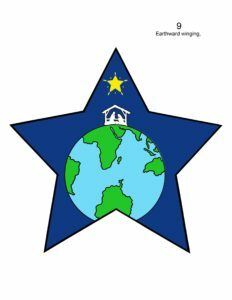 I am new to Primary and would love the star files to teach on the 18th. I’m busy reading your entire site! These are beautiful! Can I also have the file emailed to me? I would love to use these on Sunday. Thank you! Sharla, Thank you for this inspired idea. I have also tried to print them off at my local copy store and they are too small. Could you possibly send me the pdf file as well? Love this idea! Thanks so much for the wonderful workshop you gave in Saratoga last month. I’ve been implementing what you taught, and the kids are loving it! I’m the gal with the 3 year old son and baby. 🙂 Could you please email me the files for this song too? I’d love a copy as well! Yes, I am having the same problem. I’d love to have the original file e-mailed. Such a cute activity! Sharla- I appreciate all you do to help folks like me bring the joy of music to the hearts of children! 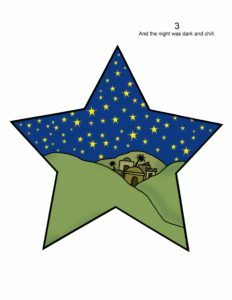 I’d greatly appreciate a larger version of Andrea’s great stars. If you are willing to send the files in yet another email, I would love a copy. Thanks so much. I’d love a copy of the files too. Looking forward to using them on Sunday. I’m also unable to download the images. I love your site as I am in the Netherlands and I need pictures because the words don’t help in another language! I would love an email with the pictures! I’d love to get a copy of them larger too! Please may I have this file emailed also. I thought I recognized Andrea’s artwork. I used it long ago. I too am so glad you have added something to your blog. Thank you for all you do. Would you please send me a copy as well? Thanks so much for all you do. I’m not creative enough to do this calling alone. Thank you for all you do! Could I please have an email too? Hi is there any way you can send me the files for this. I would love a copy! Thanks so much. I would love them emailed to me as well. Thank you for all you do. You have amazing ideas. I would love to have these files emailed to me as well. Thank you for all your ideas! I would love to receive an email as well. Thank you so much! It was fun to meet you in Ohio!!! Thank you so much for your work and support, Sharla! I have been teaching as close to your style as possible for one year now, and it makes such a difference in our primary! I know you have got to be so busy, but it means so much when you post a new idea like this. Tell the wonderful artist ‘thank you’ as well! Could you also email those to me! They are so adorable! Thank you! Hi Sharla, I am so happy that you’re back. I would also love to have this file sent to me. Thank you for all you do! This idea worked so well with my Jr primary kids! They loved the pictures and putting them in the right order. I was wondering if you had something similar for the second verse? Just looking for a great idea for the next time I teach this song. Thank you so much! I would also like the enlarged version when you get it. I know Christmas is over, but we will be singing this song again next year with a little different arrangement. Could you please also e-mail me the file, so I can use it to reteach my Jr. Primary? Thank you. Dear Jeannie, Because I taught the first verse using these visuals, I would teach the second verse using a rhythm, or some action word actions, or using wind wands… something like that. These are perfect! Could you email me these files please?! 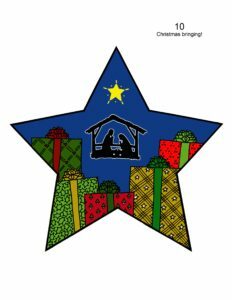 Hi Sharla, I am revisiting these Christmas ideas from last year to use with my primary again! I have turned to your site again and again as a resource in my calling. I tell anyone who asks that you have revolutionized the way I do singing time, and direct them to your site and your book. Thank you for sharing your experience and expertise with all of us! It has been such a gift to me! I’d love an emailed copy as well! Sharla when I try to download this a pop up reads ” Adobe Acrobat Reader could not open because it is either not a supported file type or because the file has been damaged (for example, it was sent as an email attachment and wasn’t correctly decoded). I think that means it was sent as an email with that link? Hi Mary. Josh, Sharla’s tech son here. We would email you exactly what the download link is. What do you see when you click the link? 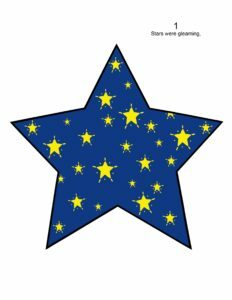 The stars aren’t printable in full size; they only print out in small stars, several stars on each page. Hi Mary, Josh tech son here. Did you download them from the link above? What do it look like when you open them? Actually, I just tried it again, & I was able to print them out in full size. 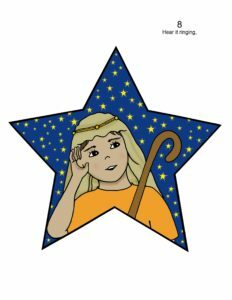 Thank you for your response, & for the great visual aides for Stars were Gleaming! Could you email them to me also. Same Problem as above. Hi, Josh tech son here. What does it look like when you download them? I would send you the same file you can download from the link. What type of computer are you using? Hi! Can you send me these in a file I can download from my email? These are awesome! There is no working link on the site. Also, is there art work for the 2nd verse? Hi Kerinda! I just had my son check, and the download link in the first sentence of the post has the link that works. What do you see when you click on it? Thanks! These print much too small to be practical. You mentioned in a former message that your tech was working on making them bigger. Are those available? Tech son here. They currently print at 8.5 by 11. How big were you hoping to print them at? These are great, especially with the download link for the full sized versions at the top of the page! Do you happen to have pictures for the second verse as well? I want to teach that to the Primary kids but my artistic stills are not up to the task..
Dear Michael, These were created by my good friend Andrea, and no, she did not do the second verse. Perhaps using a rhythmic activity to teach the second verse would give variety to the way they learn the verses. Thanks for asking! 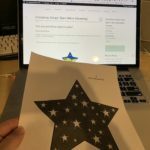 I just tested the download link, and printed the star and it works. Are you on a Mac or PC? And are you using Firefox or Chrome?